These handmade Midland keychains are made with Domestic Double Shoulder Cowhide. 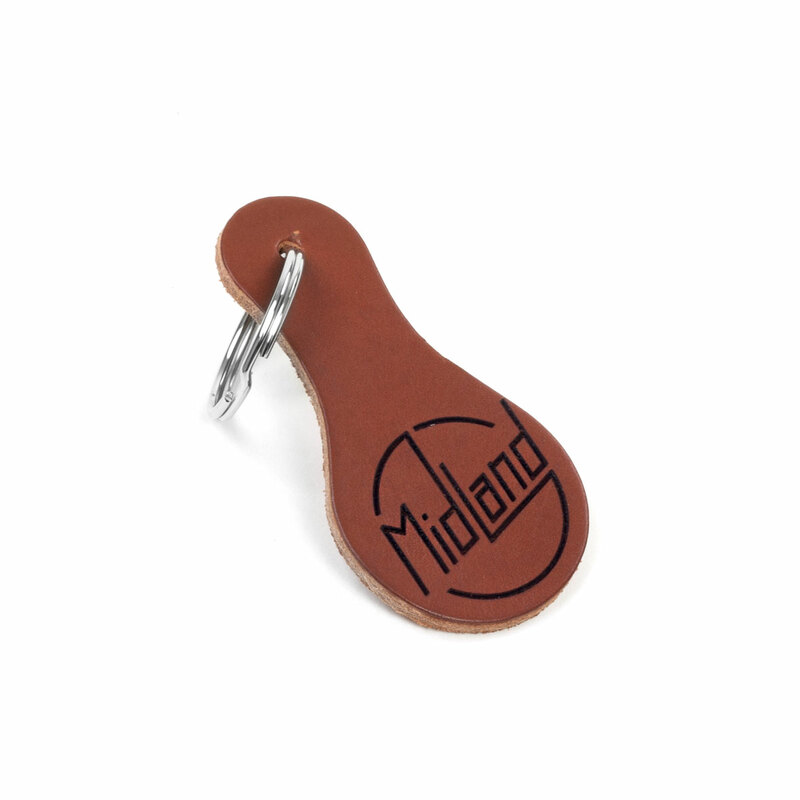 Each keychain is die cut individually then laser engraved with the Midland Logo. There will be variation in the color of cowhide in each keychain. Designer Peter Hoffman is an American designer specializing in handmade exotic leather bags, belts, buckles and accessories. Peter began his career in the 1970's as a jewelry apprentice in La Jolla, Ca and his clients now include top designers, celebrities, heads of state and international royalty. I love my new keychain, and showing off my Midland love. It's the perfect size. The leather feels wonderful with the Midland logo stamp.